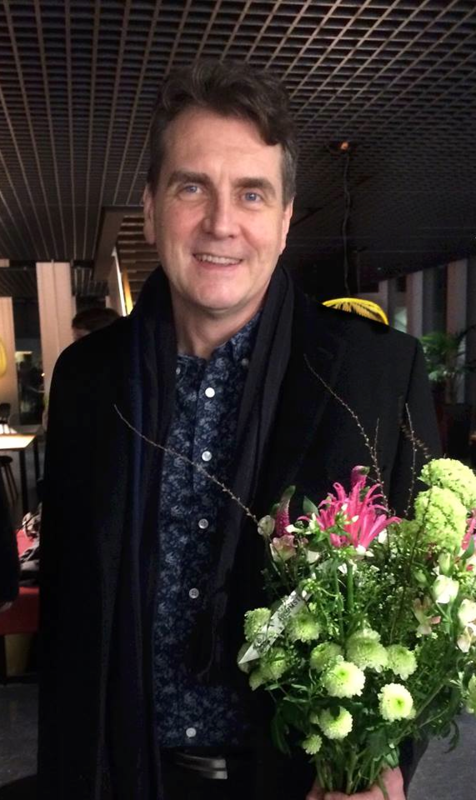 JÖRGEN DAFGÅRD is a Sweden-based full time professional composer. Having just finished his diploma studies Dafgård made a striking debut in 2000 with his orchestral work Veils. As first prize winner at the Stockholm Berwald Hall and top ten contribution in the international Masterprize competition Veils has been performed a dozen times and has been heard on radio all around the world. In 2013 Jörgen Dafgård was Composer of Spring at the Berwald Hall, where many of his orchestral works were performed, including a premiere of the clarinet concerto Caprism. In 2017 the premiere of Dafgård's soprano saxophone concerto Abrasax with Anders Paulsson was a great success. 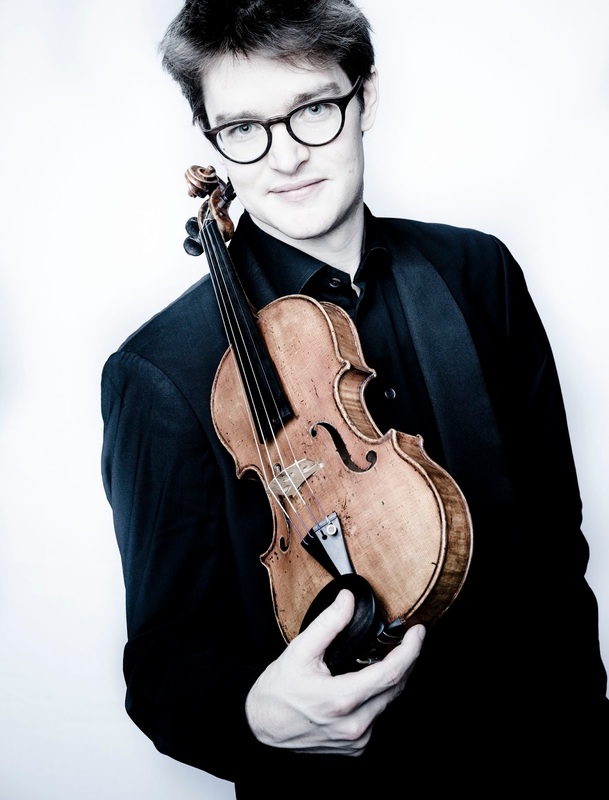 Jörgen Dafgård's Tableau Vivant for violin and orchestra got its premiere on the 7th of February with young virtuoso Johan Dalene and Malmö Symphony Orchestra under the direction of Anja Bihlmaier. 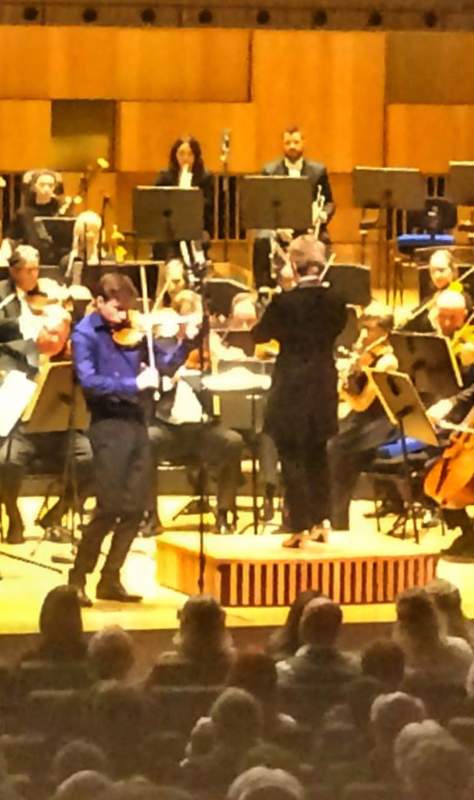 The work was performed in a both delicately rich and powerful way by soloist and orchestra and was greeted by a cheering audience of a thousand listeners on site at Malmö Live, a concert hall which reproduced the sound in a very fine way. The critic Carlhåkan Larsén praised the soloist and the way "the contrasts of the orchestral playing gives both abundance and sharpness" in the work. The Swedish Radio recorded the premiere for broadcasting on P2 in the near future. Program managers from orchestras in Sweden and Denmark attended the premiere and there has been signs of interest from many orchestras of programming the work for further performances. Jörgen Dafgård with Anja Bihlmaier and Johan Dalene at the dress rehearsal and premiere of Tableau Vivant. Jörgen Dafgård's Tableau Vivant for violin and orchestra will have its world premiere on February the 7th at Malmö Live with the young virtouso Johan Dalene and Malmö Symphony Orchestra under the direction of Anja Bihlmaier. The concert starts at 7 pm and is preceded by an introduction by the composer at 6 pm. Tableau Vivant is based on the concept of the soloist as a painter and the orchestra as the landscape being painted. While getting more and more involved in the creative act, the painter gets more and more drawn into the ever more living landscape that takes shape on the canvas. 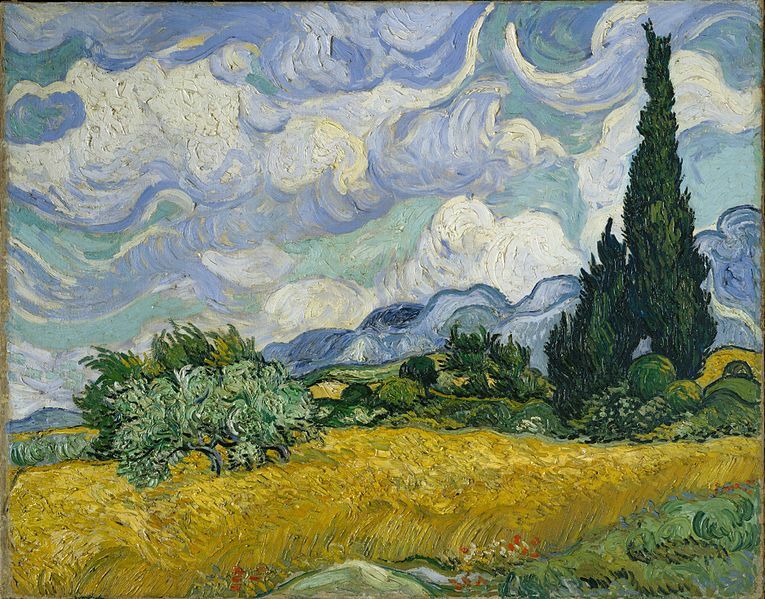 Vincent van Gogh may come to mind in this metaphorical description of the interplay between soloist and orchestra in Tableau Vivant and in the work's use of curving lines in counterpoint and alternating differently textured blocks of harmonic and instrumental colour, where the course of events may be seen to reflect the enticement and danger of a strong passion. 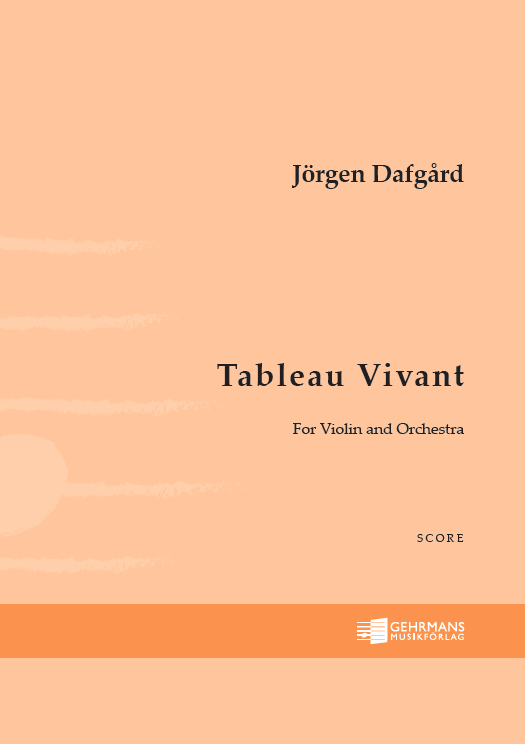 Jörgen Dafgård's Tableau Vivant for violin and orchestra is now published by Gehrmans. The score is available both in full size and in pocket format. 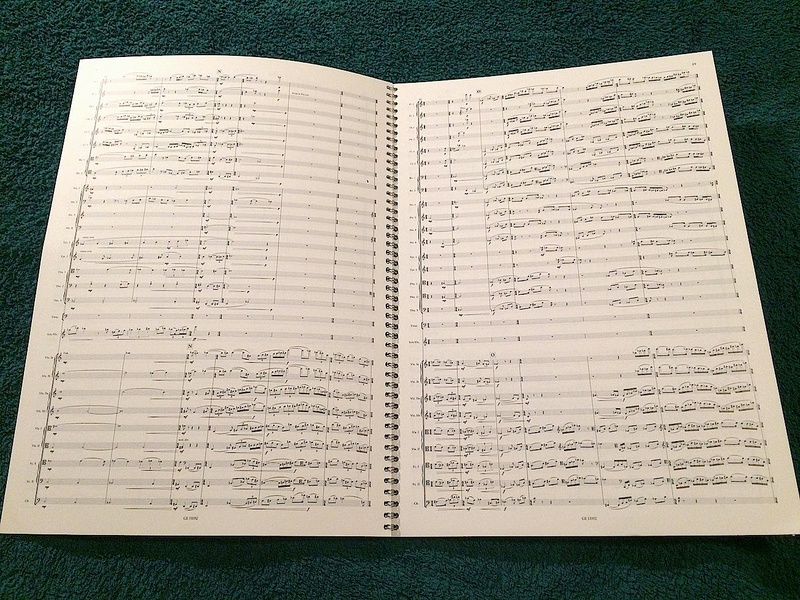 Prior to publication, the score has been slightly revised and redesigned. Composed in 1998, Tableau Vivant is one of Dafgård's earlier orchestral works and the first of them with a soloist in front of the orchestra. The style is intensely lyrical and expressionistic, with a lavish orchestration. Tableau Vivant will have its world premiere at Malmö Live on February 7 at 7 pm with soloist Johan Dalene and Malmö Symphony Orchestra under the direction of Anja Bihlmaier. 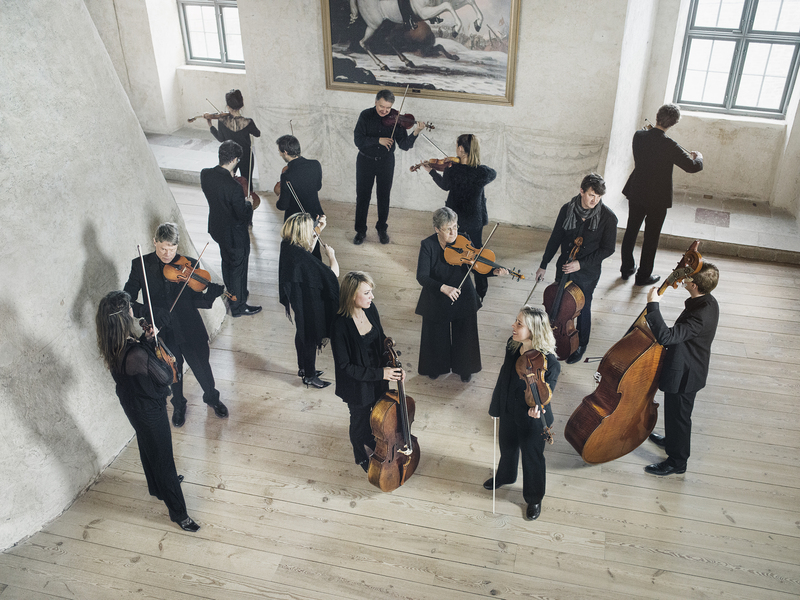 The premiere of Jörgen Dafgård's violin concerto Eclipse with Hugo Ticciati and Camerata Nordica on a mini tour in the south-east of Sweden was very successful. The new work came to blossoming life in the hands of the musicians led by Ticciati and the orchestra no doubt enjoyed taking part in the immersive interpretations, grounded in Ticciatis dedication and deep understanding of the work. The performances were introduced by the composer who commented on the ideas behind the work and some personal experiences who had left their mark on its expressive content. Listening to the new work the audience was captured and gripped by the music. Many in the audience were heard sobbing during the tragic second movement. Long applause and many calls followed the end of the final movement and afterwards many in the audience testified about their rich and deeply moving experience. 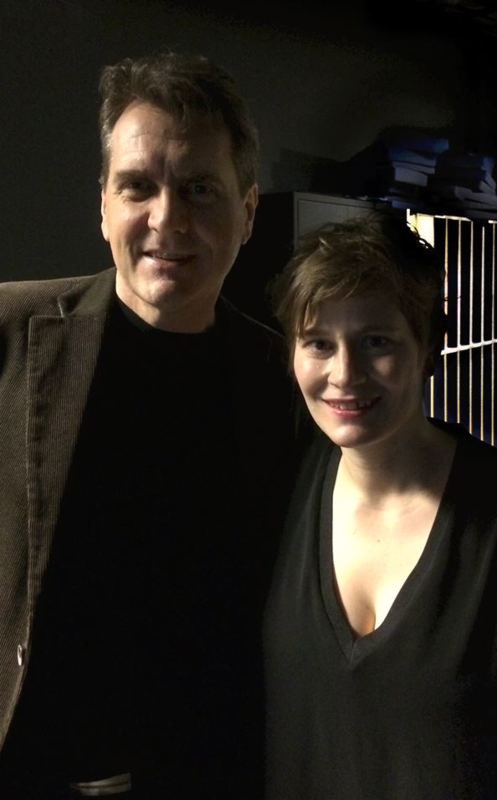 The critic Lena Svensson was on fire as well. 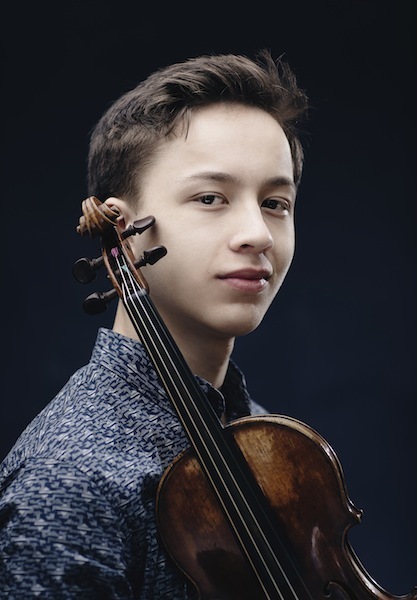 In her review in Barometern she wrote about her "Rich music experience… The evening's premiere of Jörgen Dafgård's violin concerto Eclipse is a highlight… Camerata Nordica have a tight interplay with dynamics and power in the performance and completely capture the listener's attention. 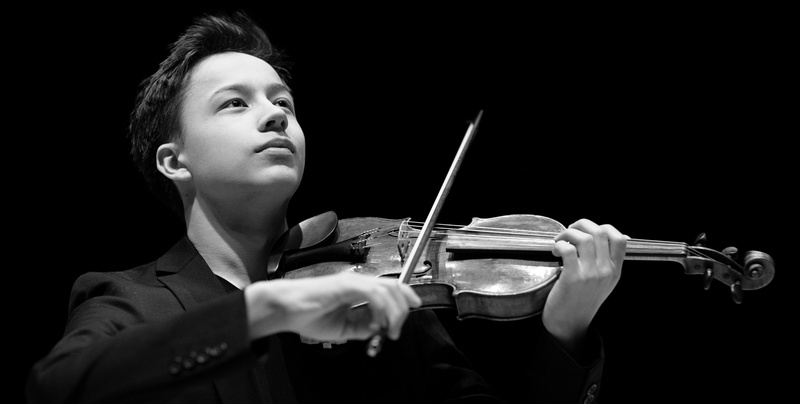 The supreme soloist Hugo Ticciati on the violin is adroit in every section, up to the very highest note of the instrument. The movements are full of feeling, and one is carried away and gripped by the work's dramatic fluctuations. The concluding movement opens up towards brightness and liberation, and there was long applause and several calls." A longer excerpt from the review can be found under "Press" on this site. Jörgen Dafgård's new concerto Eclipse for violin and string orchestra will soon be premiered by Hugo Ticciati and Camerata Nordica. The premiere will take place in Oskarshamn on October 27, followed by performances in Hultsfred and Kalmar on October 28 and 29. 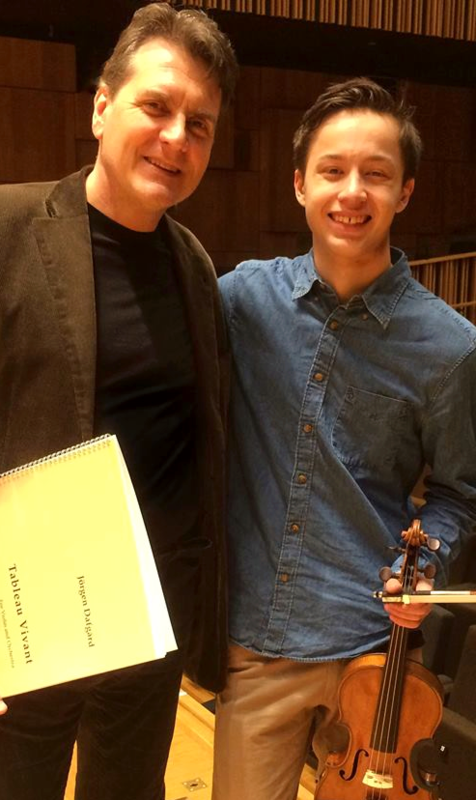 The concert program also includes works by Golijov, Pärt and Janáček. More information about the concerts can be found here. and here. 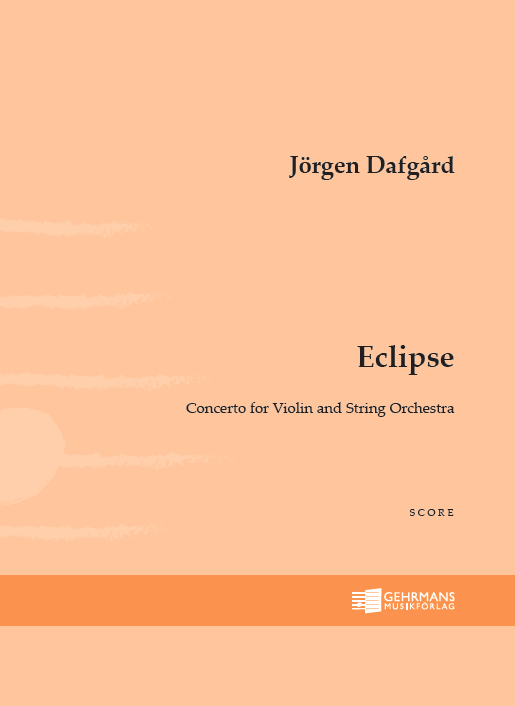 Jörgen Dafgård recently finished a concerto for violin and string orchestra with the title Eclipse, which is now published by Gehrmans and will soon be premiered by the soloist Hugo Ticciati and Camerata Nordica. Eclipse is the third work in a series of solo concertos that started with the clarinet concerto Caprism in 2013 and continued with the soprano saxophone concerto Abrasax in 2016. The concertos are related technically and formally but are built on different material, which has given each concerto its individual character. Dafgård wrote Eclipse around a time when he stayed for a month in Paris, which is reflected stylistically in a certain French idiom shining through. Lightness but also intensity characterizes the outer movements, while the middle movement has more sombre weight. 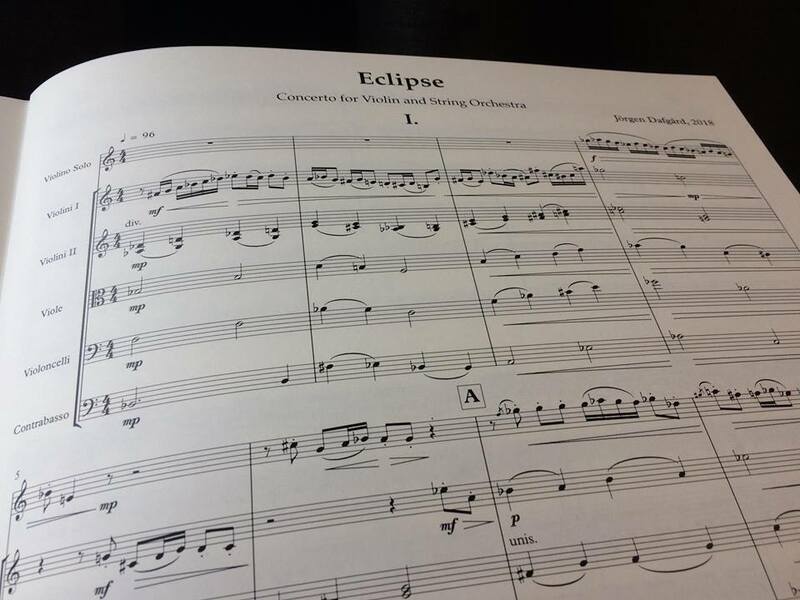 Eclipse is written for and in collaboration with the dynamic soloist Hugo Ticciati. 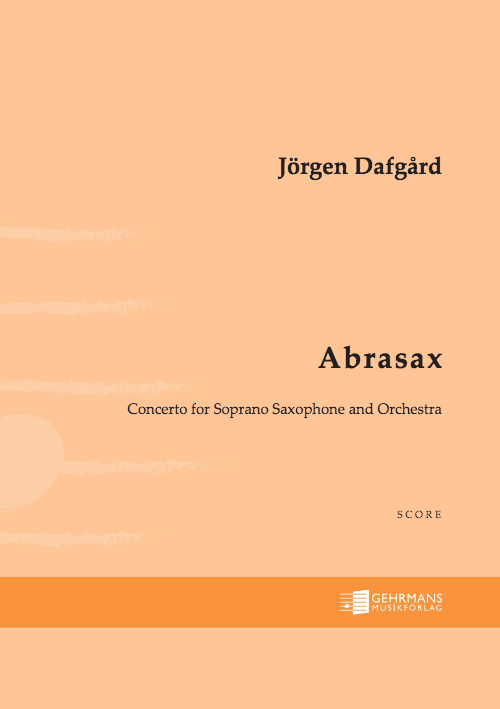 Jörgen Dafgård's soprano saxophone concerto Abrasax is now available in a new definitive edition published by Gehrmans. 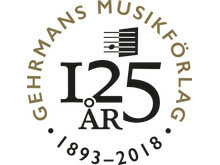 For this edition experiences from the recent much appreciated performances with the commissioning orchestras Jönköpings Sinfonietta and Västerås Sinfonietta have been taken into consideration. Abrasax is written for and dedicated to the soloist Anders Paulsson, who has generously shared his thoughts about the solo part. The new edition of Abrasax can be viewed online here. The pianist and composer Eva Sidén will perform Jörgen Dafgård's piano piece Transcendens at a concert with Swedish music at the Sandviken Chamber Music Festival on August 11. The concert will take place in Kulturcentrum/Musikverket and starts at 3:00 pm. Jörgen Dafgård's Tableau Vivant for violin and orchestra will be premiered early in 2019 by the young prodigy Johan Dalene and the Malmö Symphony Orchestra under the direction of Anja Bihlmaier. Tableau Vivant is based on the concept of the soloist as a painter and the orchestra as the landscape that he is painting. While getting more and more involved in his creative act, the painter gets more and more drawn into the ever more living landscape that he paints. The concert will take place in Malmö Live at 7pm on February the 7th 2019. 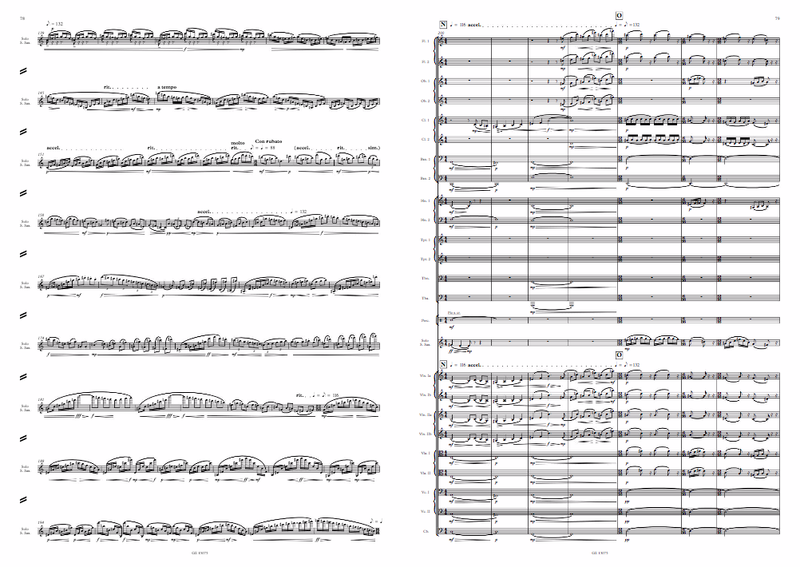 Four works by Jörgen Dafgård are awaiting publication on Gehrmans: the soprano saxophone concerto Abrasax (new edition), Tableau Vivant for violin and orchestra, a new violin concerto titled Eclipse and a new piano trio.